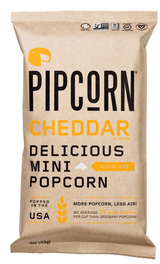 Cheddar Pipcorn? Yes, Please! This dairy-free alternative is perfect for anyone with allergies or just looking for a lighter option that doesn't sacrifice flavor!